What do you need to raise chickens? Before the days of modern grocery stores, raising chickens was a pretty normal thing to see. Even in the city, people would keep chickens as a way to have fresh eggs and control bug problems. From knowing where your food came from, to making sure your family has fresh food during an emergency, there are a number of reasons that people are deciding to raise chickens. People are turning towards organic foods and backyard gardens, and raising chickens is starting to increase in popularity. Raising chickens can become a family event. Both fathers with their busy schedules and Grandfathers where age and other impairments limit the activities they are able to do, treasure the time spent with children and grandchildren. Raising chickens provides quality family time with these children and grandchildren. 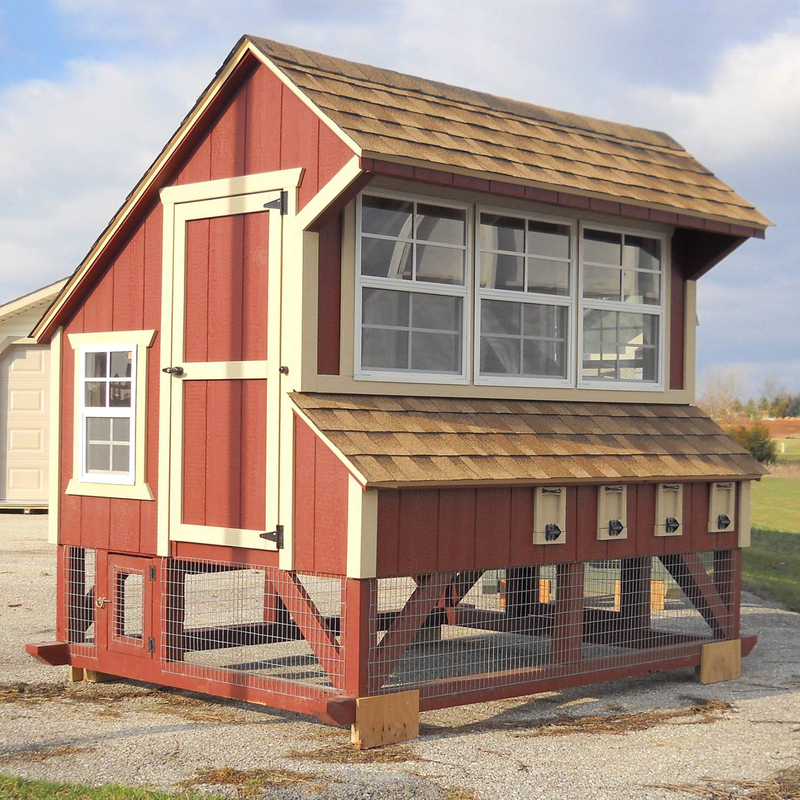 The best chicken condos or poultry houses have several characteristics in common. The chicken coop should protect your backyard flock from hungry predators such as fox, skunks, weasels, hawks and your neighbor’s dogs. It should be strong and sturdy enough to stand up against unfavorable weather, such as summer winds or winter snowstorms .The coop should provide your chickens with the right balance between enclosed shelter and open ventilation. Easy and inexpensive Nutritious Fresh Eggs – Up to 200 a year per Hen. Fresh Organic food, free of pesticides and chemicals. Chickens are a great way to keep bugs from infesting your garden. They produce chemical-free good nitrogen-rich manure that when mixed with your compost is great for plants. Great for weed control that is chemical free. A safer and healthier alternative to factory farmed products. You know what went into your meat and eggs.